Hosting family or friends for the holidays? Be sure to plan a visit to CAM Raleigh to show off your new museum of contemporary art and design. Monday, Wednesday, Thursday, Friday 11 a.m. – 6:30 p.m.
Saturday and Sunday 12 p.m. to 5 p.m.
First and third Fridays of the month open late. The museum is closed on Tuesday. 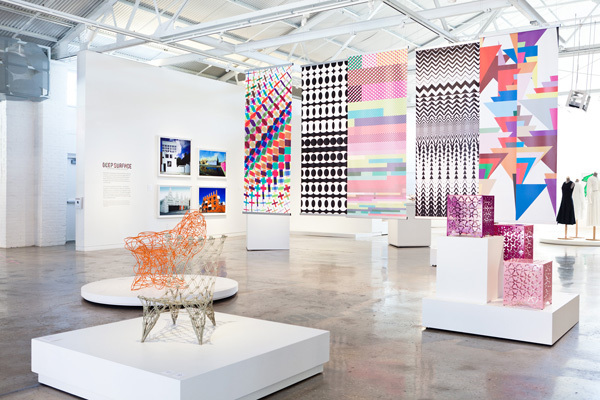 Deep Surface: Contemporary Ornament and Pattern is on view through January 2, 2012. Don't miss the opportunity to see this remarkable exhibition one last time before it closes. Deep Surface is the first major exhibition to examine the re-emergence of ornament and pattern over the last 15 years. The Independent Weekly Gallery features CAM Raleigh's current installment of the emerging artist series with a new media exhibition ID:ENTITY Self: Perception + Reality. CAM Raleigh Members now save even more at the our museum store! December 16-31, museum members can double their discount on museum store purchases. Stop by today to check out these holiday gift ideas and save 20%! Not yet a member? Join today to take advantage of this discount and to receive additional benefits, including an exclusive invitation to the preview of our next large-scale exhibition, Born Digital. All exhibition t-shirts are currently on sale for $10. Sale ends December 31. We hope you embrace the spirit of giving this holiday season, and, if so, please consider providing a gift to CAM Raleigh. Your gift will be tax deductible and each dollar goes directly to support the programs and exhibitions you care about. As an organization that desires to play a role in inspiring citizens, driving innovation, and nurturing a climate of creativity, we can’t create this future without your support. Want to make folks happy? Giving the gift of a CAM Raleigh membership is a wonderful, affordable way to allow friends and family to enjoy all CAM Raleigh has to offer. Holiday shopping got you overwhelmed? 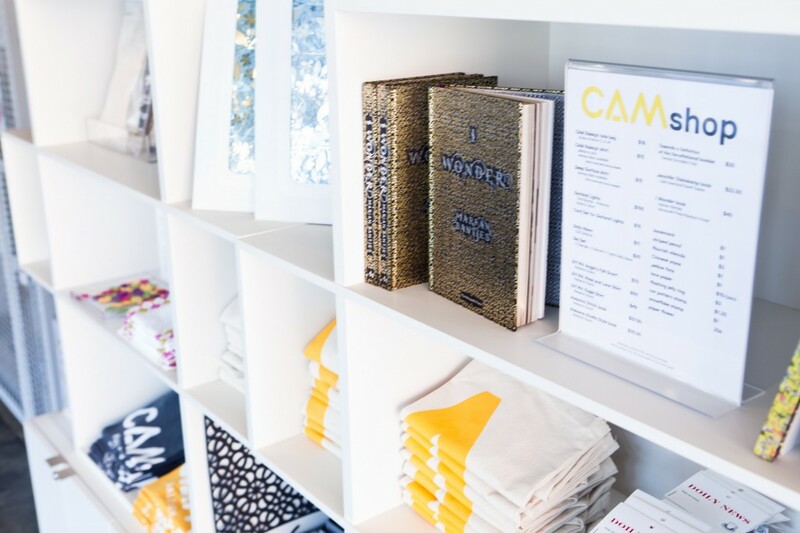 Visit CAM Raleigh's Pop-up Store! We have a selection of beautiful design books, sturdy tote bags, t-shirts and trinkets, ranging in price from $1 to $100. Find a treat for everyone on your list. CAM Raleigh members get a 10% discount on all merchandise, so become a member today and save.